Islands, as I’ve said before, are full of stories; some are simply myths, tales passed down from before written history, so that any truth has been lost in the telling. In some the kernel of truth still beats at the legend’s core, and this is one of those. 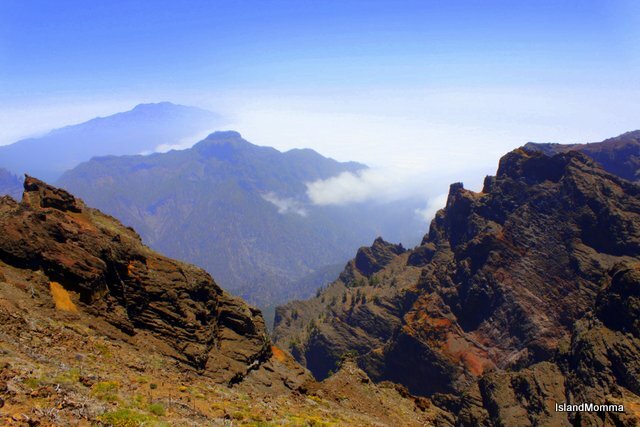 It happened on a Canary Island called Benahoare, the most westerly and the most isolated of the islands; that which we know today as La Palma. Although much of the history of the island was eradicated by the Spanish, we know that when an elder knew in his heart that his time had come, he had only to utter the word “vacaguare,” (I want to die), and he was aided by family to do so with dignity. He was taken to a cave, covered with goatskins, and surrounded by chosen possessions and a bowl of milk, was left to make his peace with his gods. Categories: Canary Islands, Island Legends | Tags: acerina, canarian legends, canary islands, conquistadors, la palma, spanish conquest, tanausú | Permalink.